direction of action within the body. If you have ever taken a raw piece of ginger and placed it on your tongue, you know right away the temperature of ginger is warm and slightly spicy. The flavor of ginger is considered to be acrid. Acrid herbs have the benefit of being dispersive, and promote movement within the body. If you have ever had an upset stomach with cramps, you can quickly note the dispersive effects of fresh ginger when consumed as a tea to settle the stomach. The direction of action within the body is more complicated to explain. In simplistic terms: ginger can help promote sweating, which can help ward of a cold or flu in its early stages, and it can warm the center or middle of the body, assisting the function of the stomach and digestion. Ginger, called Sheng Jiang in Chinese (meaning”Fresh Ginger”), is used in multiple forms for Chinese herbal medicine. There is the fresh ginger root itself, blast-fried ginger root (called Gan Jiang), and charred ginger (called Pao Jiang). Preparation of the root in these different forms draws out different therapeutic functions. Fresh ginger is used for coldand flu prevention, easing nausea and warming the stomach (improving digestion), treating cough and eliminating toxins. Of course: None of this is news! Why is sushi always served with pickled ginger? It helps eliminates toxins that result in food poisoning. Why did grandma give us ginger-ale as kids? It helps settle the stomach. 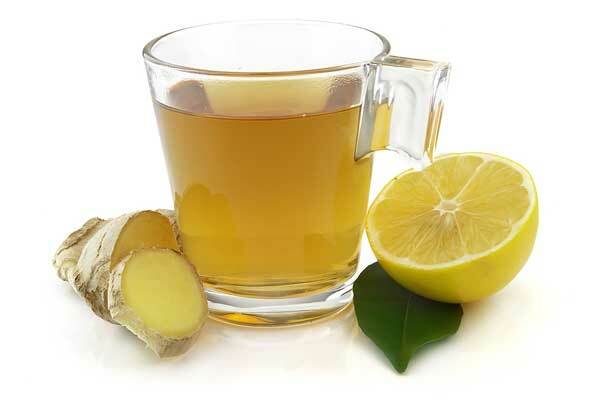 Why do we commonly drink ginger tea in the winter months? It warms the core of the body and helps us avoid getting illness. optional: add a tbs of honey for taste. Getting a cold?! Add honey and 2 tbs of lemon juice to your tea and drink hot! Cut the ginger into chunks and place them into a bowl. Sprinkle with sea salt, stir to coat and let stand for about 30 minutes. Transfer the ginger to a clean jar. In a saucepan on low heat, stir the rice vinegar and sugar until the sugar dissolves. Bring to a simmer/low boil, and then pour the boiling liquid over the ginger root pieces in the jar. Allow the mixture to cool, then put the lid on the jar and store in the refrigerator for at least one week. You may notice that the liquid may change to a pinkish color in the process, no need to worry: this is a reaction between the rice vinegar and the ginger. Cut pieces of ginger into paper thin slices for serving. Can be eaten as a side to meat, poultry or vegetable dishes! Add to your stir-fry meals as a fresh garnish! Tyler Andres, EAMP, LAc. 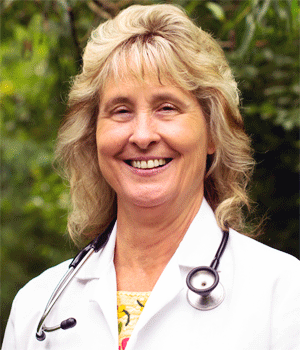 is a board certified Acupuncturist and Herbalist working at Spirit of Health Wellness Clinic & Learning Center. Tyler is currently pursuing his Doctor of Acupuncture and Oriental Medicine (DAOM) degree at the Oregon College of Oriental Medicine. When he is not helping his patients or studying, he enjoys backpacking and playing the Japanese Shakuhachi.